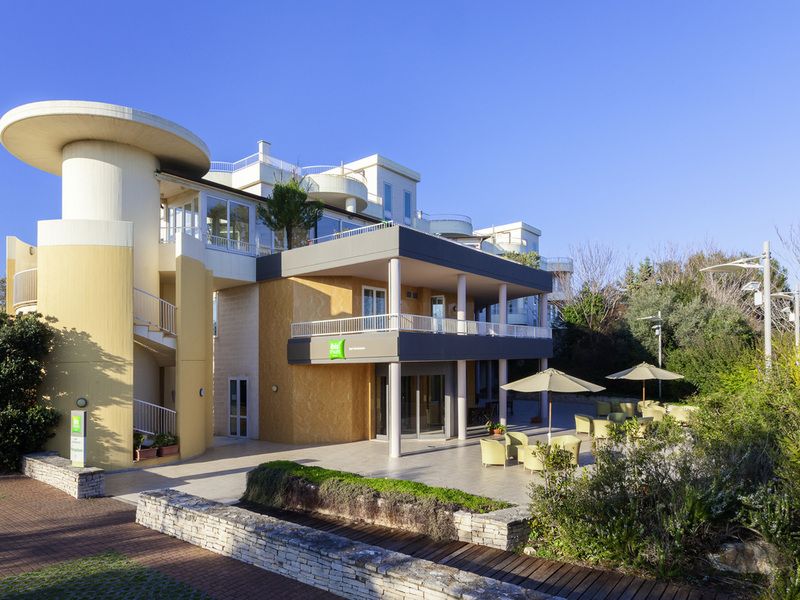 Strategically located in an oasis of sun, sea and Mediterranean maquis, just 10 minutes from Bari airport and close to the major business centers and tourist attractions of the province, the hotel is the ideal place for business or leisure travelers who want to stay in an elegant and peaceful ambiance. The hotel offers 68 soundproofed rooms that are equipped with all modern comforts. It also offers a large car park, an outdoor swimming pool and 4 meeting rooms. The Medì Restaurant may be closed during certain periods of the year. Very good installation, and all people was great , and very Kind . A little bit far from airport . Nice hotel for a short stay! Staff is friendly. Very close to Bari.Seems old.Must be renovate & paint!The staff were very polite and friendly. Perfect breakfast very variously.. According to November prices should be more affordable at the end of the season. Very conveniently located , up the coast road from the airport; a pity about the closeness to the main, busy, rail line into Bari. Good room, easy parking, but just a little basic compared to othe ibis styles we've stayed at. Breakfast was not good, although the evening meal was. A good start to out holiday!!! We had a late flight; the hotel welcome was good. We had dinner, a few drinks in the restaurant and straight to bed. Good breakfast the next morning and a great start to the day. As usual, we know we can rely on Ibis to provide reasonable accommodation at a reasonable price. Room was right next to the train line with nothing in the advertising notifying you of this. Room smelt overly of cleaning products. One very thin pillow only per person and no spares . Room felt very dated, in particular it still had a smell of smoking so had clearly previously been a smoking room. Location was handy for our needs, and pool was nice to have. Nice but a bit too old rooms and the overall experience didn’t seem as a 4 star hotel. Staff is very helpful and eager to help. Cleaning is important and it was done very well. it was good, we stayed at hotel 2 times this month, we had a Cruise to Greek in the between. Both time the experience was as expected. The second time we could used one of the top &quot;piano&quot; floor, what was very good. I would like to say my special thanks to the front desk Fernando he was always glad to help he was above of the overall expectations. The other people in the front desk was very good as well. A very pleasant one night stay. We were upgraded to a suite with spectacular views from the huge balcony. Staff were attentive and polite and spoke excellent English. Hotel is located on the left side of seaside road fropm Bari to Giovinazzo. We have got room on the top floor with huge terrace with the view on olive trees and Adriatic sea. Good breakfast, very friendly staff. Fernando is a total credit to you!!! Fernando made our stay amazing! We arrived after having to last minute book as the b&b we had booked to stay in in Bari was disgusting!! We arrived and was given a nice room, and greeted by helpful staff. Fernando advised us the restaurant was closed for the night, and with nothing nearby to go eat he kindly offered to order us in a takeaway from just eat. He also gave us the use of the bikes to cycle to the nearest town the next day in order for us to venture out the hotel. He truly went above and beyond to help us and we can’t thank him enough. Shauna M.
The noise of the train can be hear when it passes by. During my stay I cannot connect to WiFi at the room. Also the shower position is not user friendly. However the reception is pleasent and helpful.